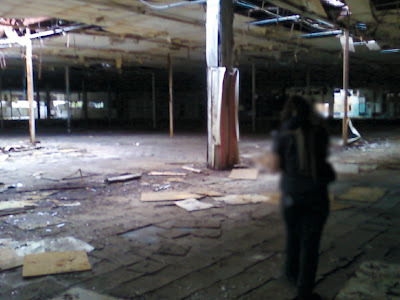 I have been holding off posting this store for months now in hopes of tracking down more information on it. Haven't come up with much. 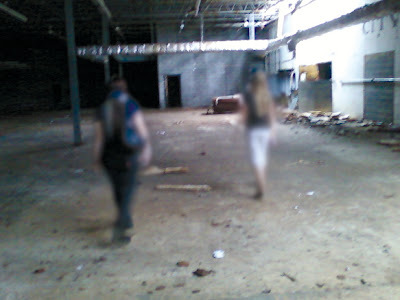 Lots of Acme Style readers emailed about this eerie location in Clemeton New Jersey. 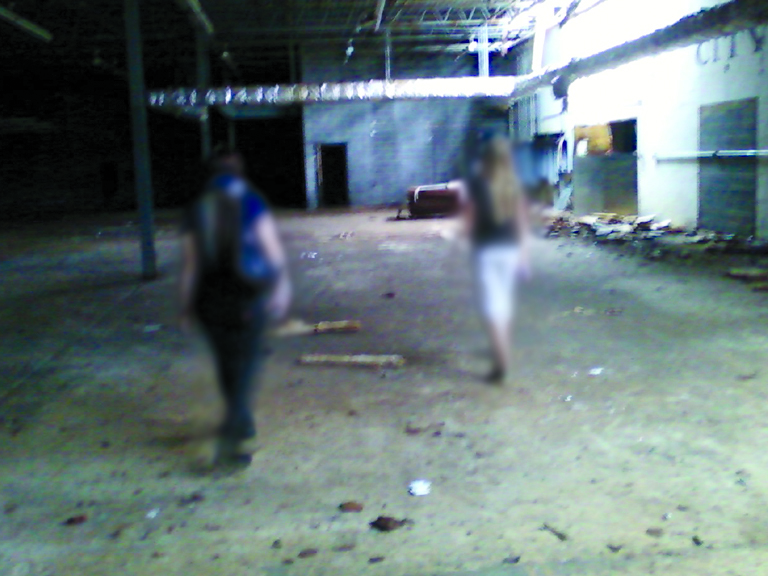 I had seen pictures of it online years ago and was lucky to stumble upon it when I was heading to the abandoned Berlin location last spring. 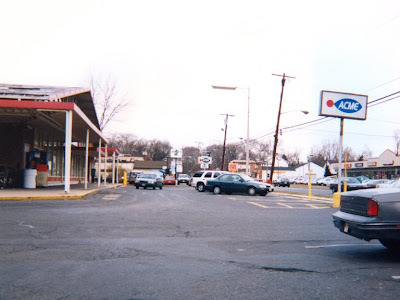 What I do know about this Acme is that is started out as a ShopRite. 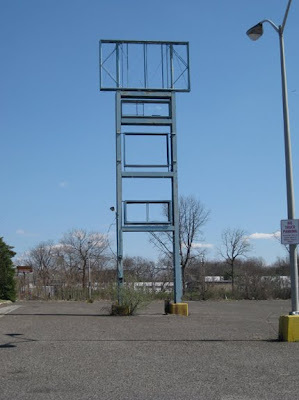 I saw a picture online with the ShopRite signage once but have never been able to find that picture again. 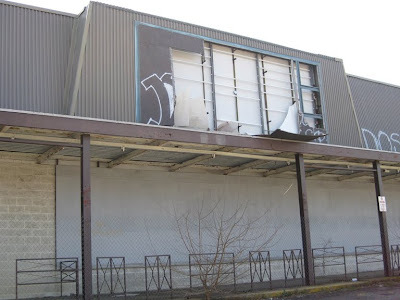 As you will see below, this store is located right next to an abandoned discount department store. 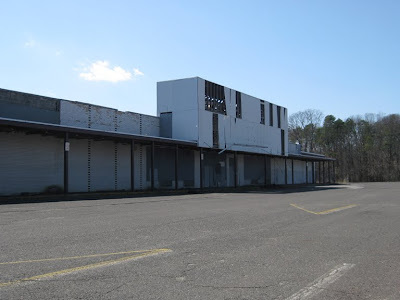 That store started out as a WT Grants and may have become a Woolco. Unfortunately I have no dates as to when any of these stores opened or closed. 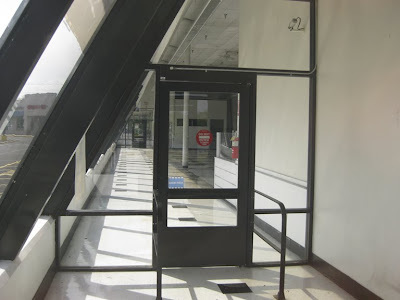 The criss-cross gates along the sidewalk were very common in Acmes of the 70's and 80's. Kept the shopping carts from rolling away. Evidence of the fish-eye sign there to the right with the three boxes. 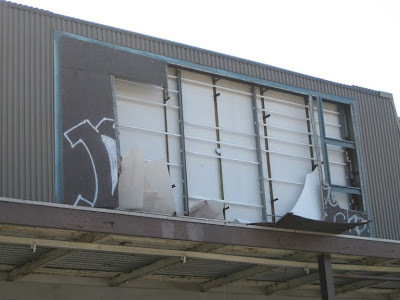 There are pictures on flickr of the sign prior to it being vandalized which indicate that this store had the red oval logo prior to closing. 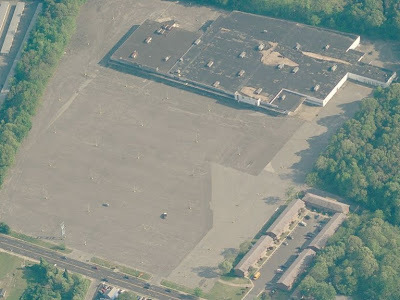 I would say that this was a larger than average Acme when it took over from the ShopRite. Entrance on the right would have lead into Floral and Produce. Exit to the left which would have been behind Customer Service. The section in the middle looks like it had a window to post the sales circular and other specials. 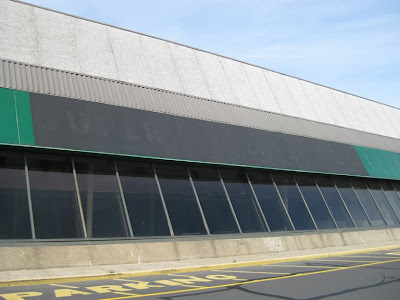 Another common feature in late 70's – early 80's stores. 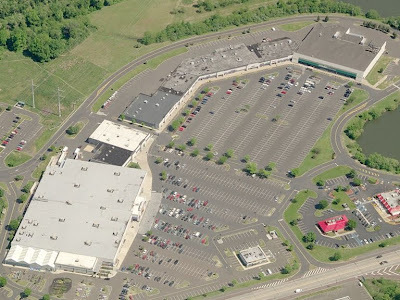 I have several aerial shots below that show the ridiculously huge the parking lot was for this shopping center. 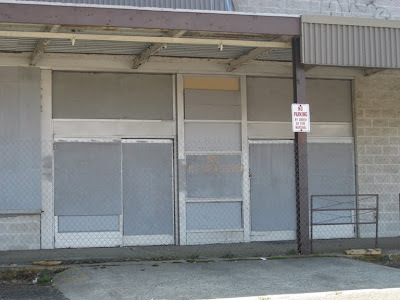 Here is the abandoned WT Grants to the right of the Acme. 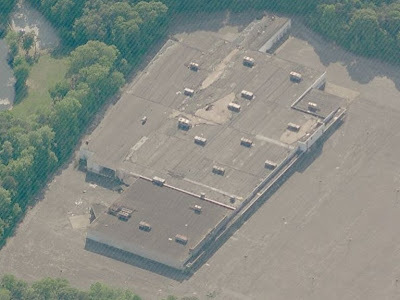 You will see in the aerial shots below that this store was massive in size. 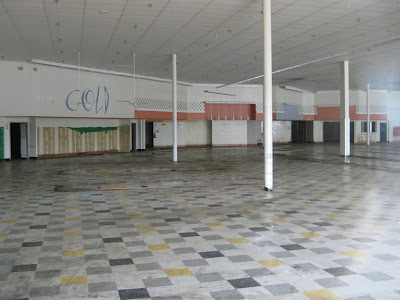 From what little I have read, this shopping center has stood empty for at least 10 years. 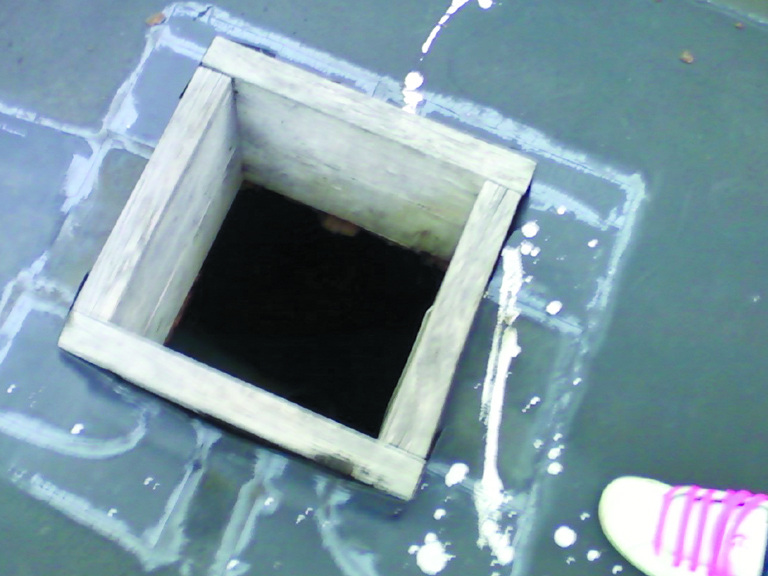 Efforts to bring new stores in were futile due to various problems with the property which included shoddy construction of these stores and a lack of proper drainage. 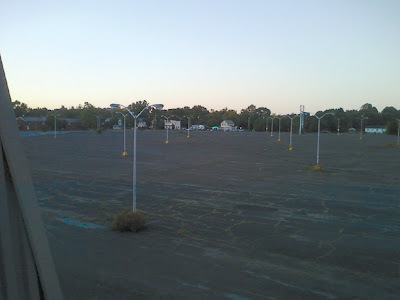 The world's largest parking? Just might be. 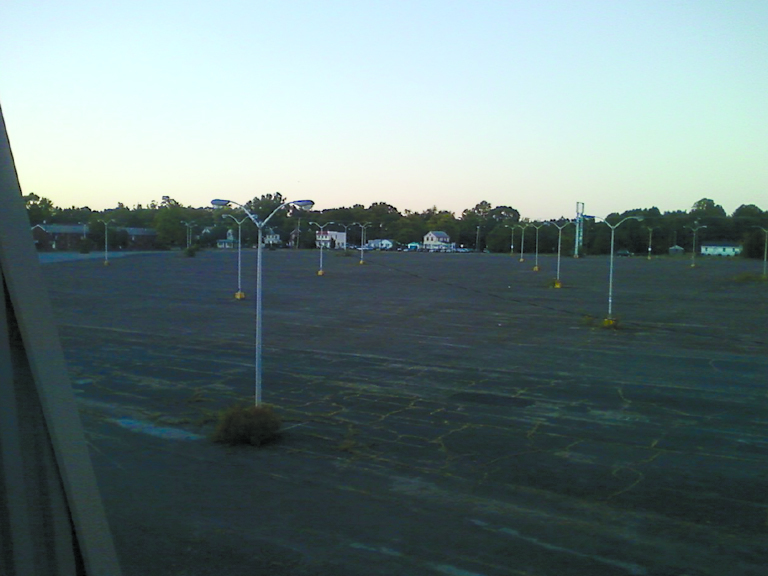 Even in this shopping center's heyday, would this parking lot even have been half full? Quite a drive there from the entrance all the way down to the Acme! 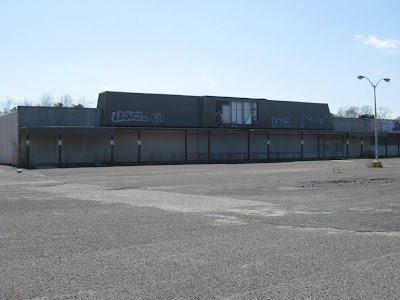 Hope there are readers out there who can provide more details of this abandoned shopping center. On the roof of the old Grants store. 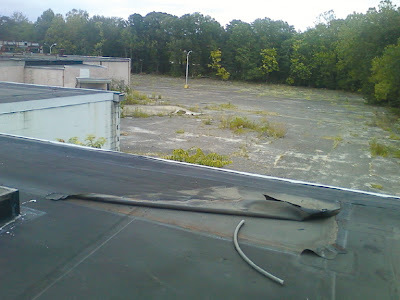 Looking over towards the Acme. 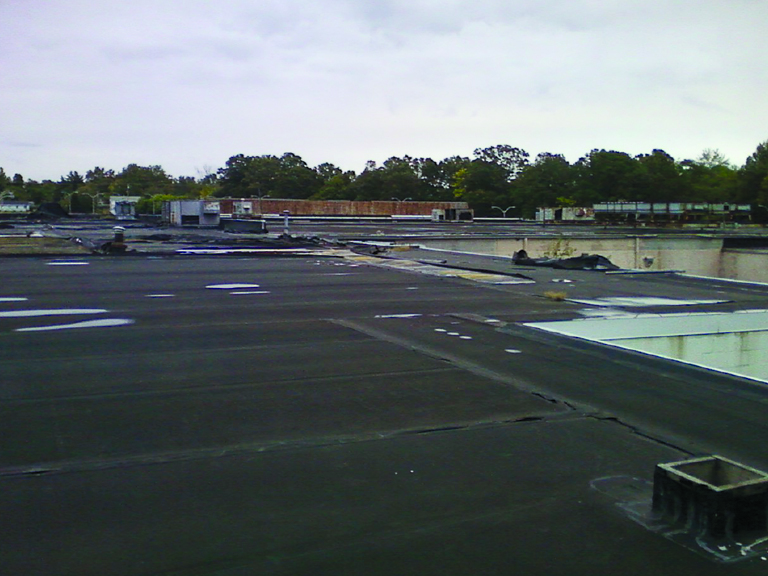 The rear of the Acme in the upper left. 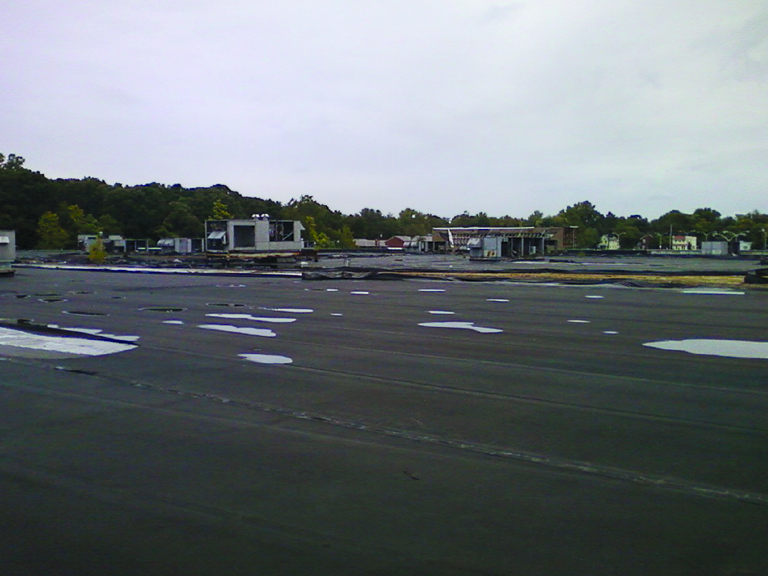 Up behind the Acme awning over looking the huge parking lot. 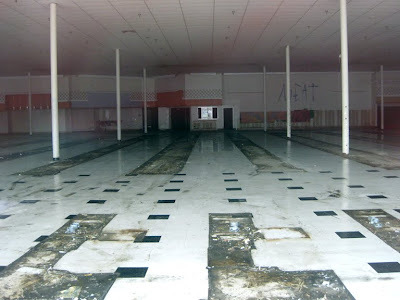 The abandoned Super Fresh Superstore in Bristol Pennsylvania is this month's Bonus Store! 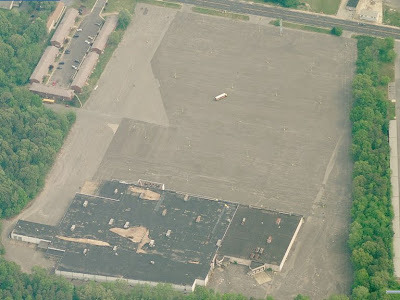 I just happened to stumble upon it while I was checking out some Acme's in the area. Super Fresh is, of course, a banner within The Great Atlantic and Pacific Tea company. 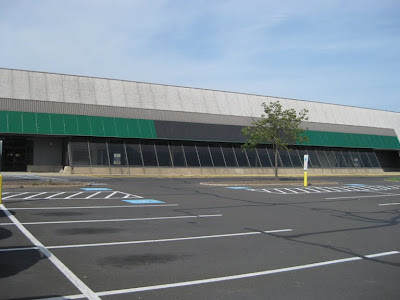 Super Fresh stores are located mostly in and around the Philadelphia area. Unfortunately they are a quickly dieing breed. 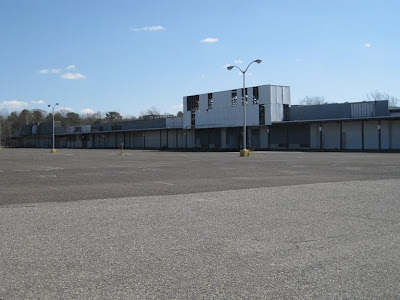 A&P is converting most into the dreaded Pathmark Sav-a-center. 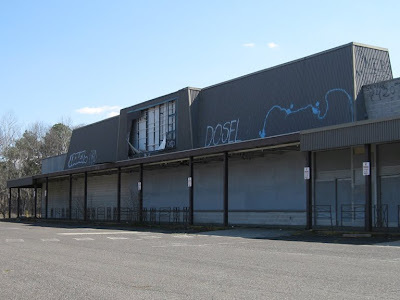 This location closed in early 2008 after surviving five years of competition from a Wal-Mart that opened in the same shopping center in 2003. 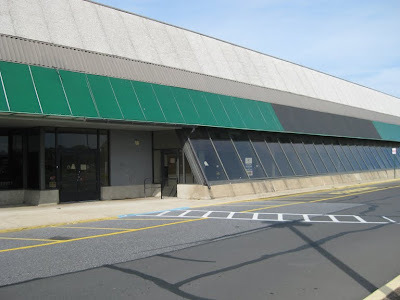 One entrance there to the left with windows across the front of the Produce department. 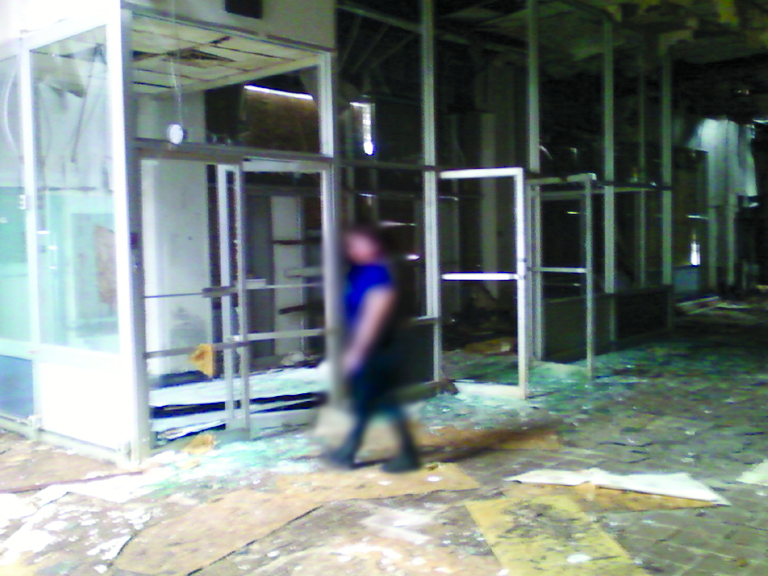 Exits at either end of the glass atrium. You can see the labelscar of the store sign here in the black section. 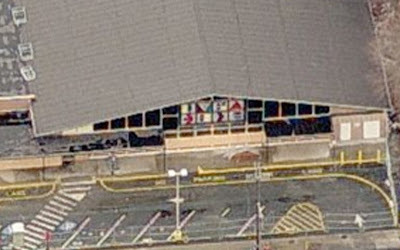 The satellite picture at the bottom of this entry shows the store still open for business with the logo intact. 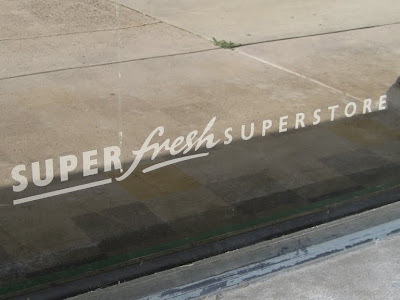 The old Super Fresh logo is repeated along the front windows by the entrance. Click here to take a look at the new logo. Some great interior shots here! The overall look of this store is A&P's last decor package prior to their Fresh format. Certainly a unique choice of font for the department names... however, there used to be 3-D bold letters on the wall as well, which spelled out the department names more clearly. They were about a third of the size of the painted letters. You can see the holes in the wall were they were mounted. 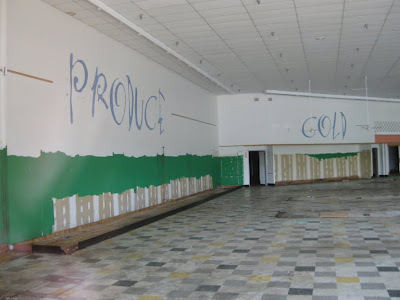 The green paint is leftover from the original decor of this store. 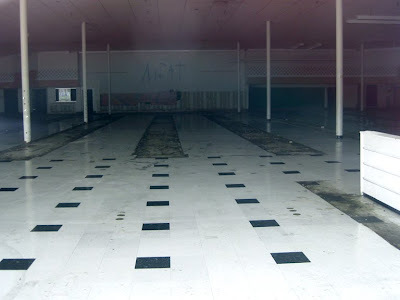 You can see what the decor looked like by checking out the pics I have posted of the A&P in Andover New Jersey. Click here for a look. I believe Deli and Seafood were back in those pink and blue colored sections. I was able to take these pictures through the windows that were to the left of the entrance. 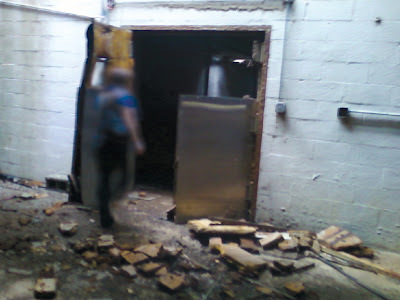 You can see the meat collage still on the wall from the original decor package and another left over green section there to the right in the Bakery department. 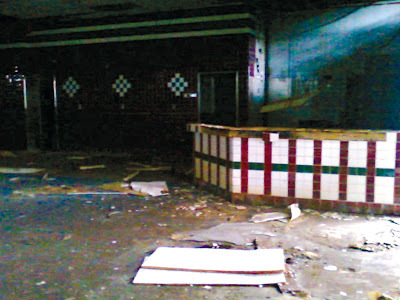 The Bakery was in the far corner. Lots of angling of the service departments in the rear of the store. A couple of pictures through the front windows. 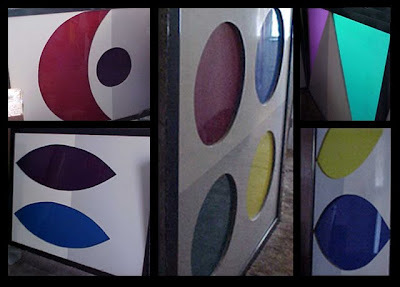 These didn't turn out as well with the glare from the slanted windows. Customer Service was probably over to the right. Below is a picture of what the Allendale store looks like today. 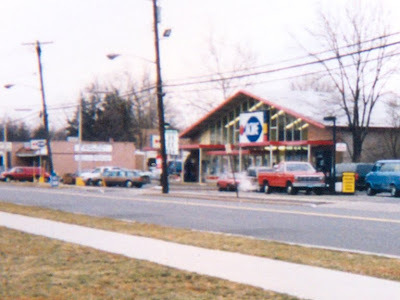 Notice the old "Centennial" style A&P just next door. The Futurestore has been expanded with a new facade and is now a Fresh store. 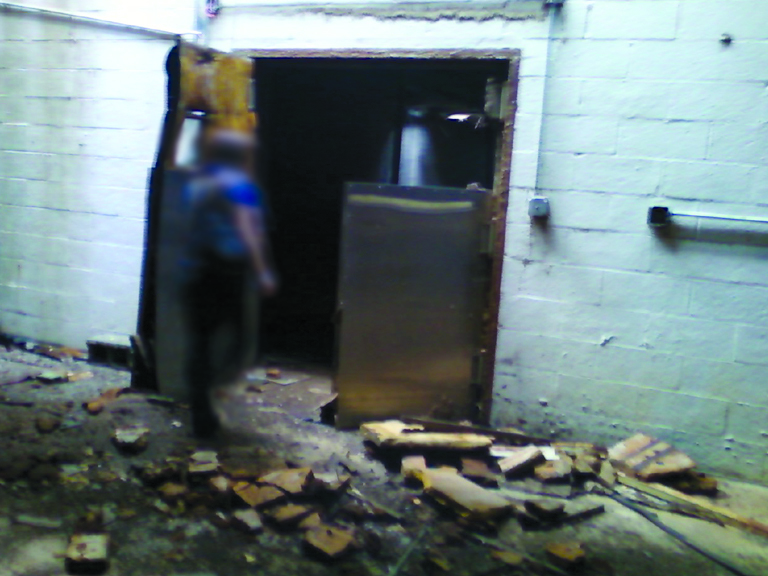 The Exit on the left side of the store. 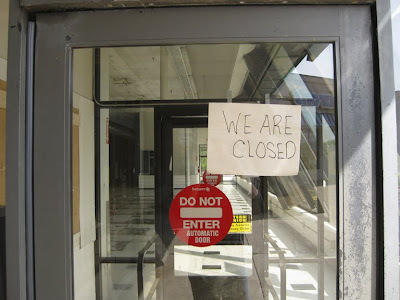 There was no entrance on this side of the store. 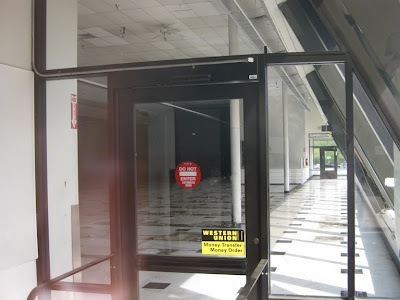 Exit on the right hand of the store. 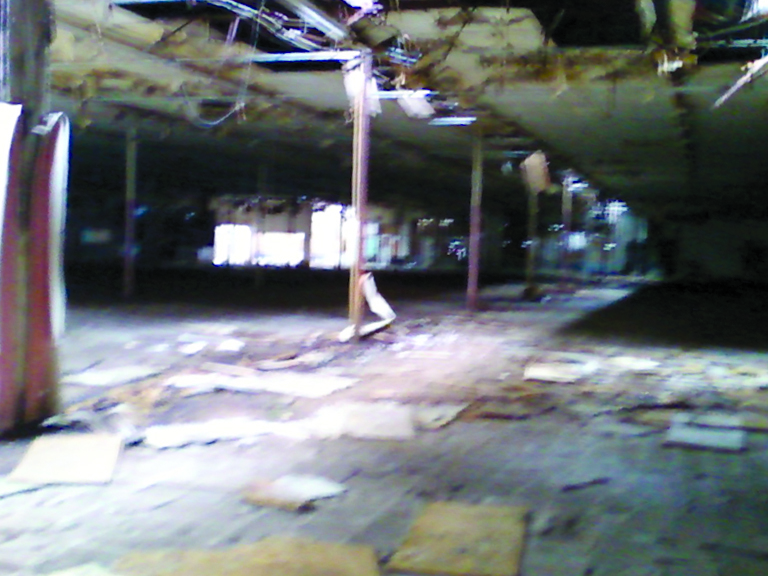 Here's a look at the shopping center. 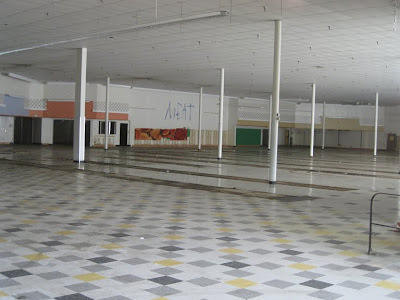 Wal-Mart opened in early 2003. Super Fresh closed in early 2008. 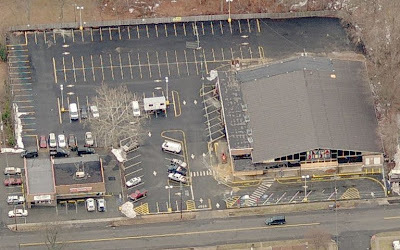 Satellite pictures were taken when the store was still open. Here you can see the logo on the front of the store. "Here's some more info. 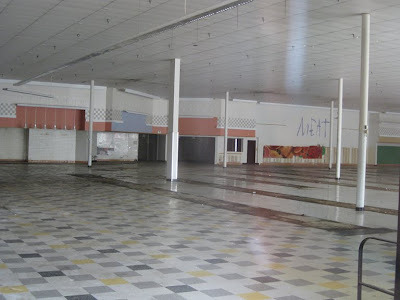 This center opened in the late 80s it originally featured the SuperFresh and a McCrory's five and dime store as anchors. 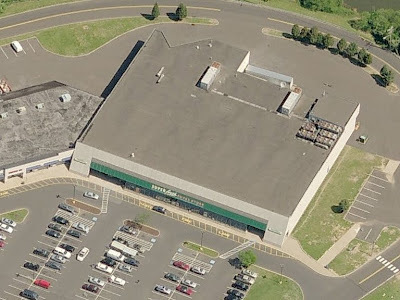 The Walmart space was originally a Caldor (remember them) dicount department store that opened sometime in the early 90s (1992 or 93) around that time the SuperFresh added a Pharmacy department. 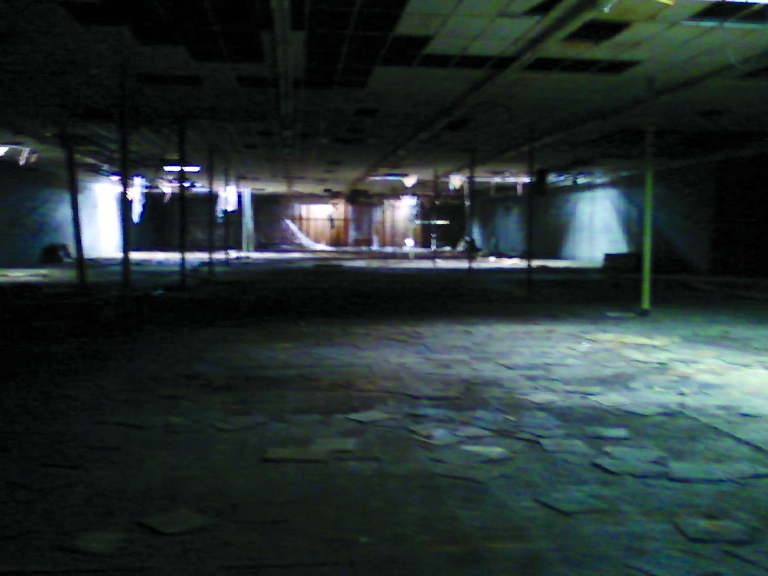 the discount store stayed as Caldor until the chain's eventual closing in 1999. 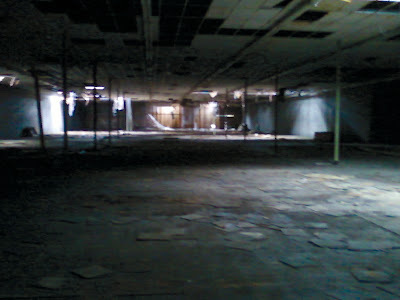 Ames quickly took over the Caldor space as part of a unsuccessful turn of the millenium overexpansion. 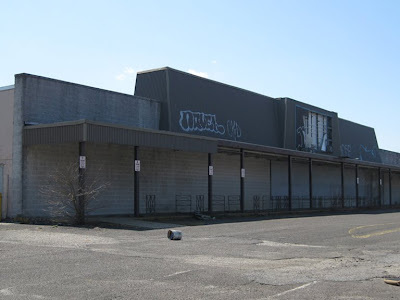 This store only lasted a year due to competition from a Walmart in nearby Fairless Hills. 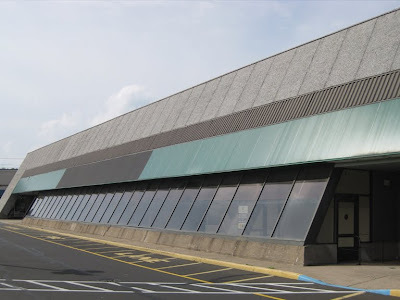 But it did'nt keep WMT from buying the Caldor/Ames Building and refurbishing it to typical WMT standards....including a grocery department that for the lack of better terms kicked SF's hind quarters pricewise. 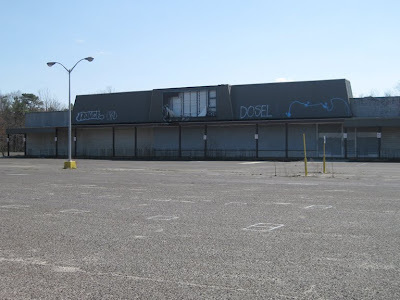 But in all reality the main thing that killed the store was the A&P Pathmark Merger. 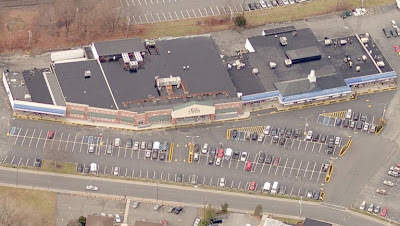 Pathmark had a successful established SuperCenter a few miles down in Bristol so that combined with and the Tea Company's desire to grow Pathmark as the primary brand in the working class Philly Suburbs and use Superfresh only as a somewhat upscale sub-brand not to mention presumed FTC divestment orders (two stores in Bristol) and the weakness of the Superfresh brand as a mainstream banner. The closing was a NO-BRAINER!" Wish they were mine but they're not. These pictures were sent in by an Acme Style fan who wishes to remain anonymous and Acme Style is happy to oblige such requests. When Plainfield closed in February of 2002, he contacted Acme headquarters in Malvern to see if he could get the tiles from the store. 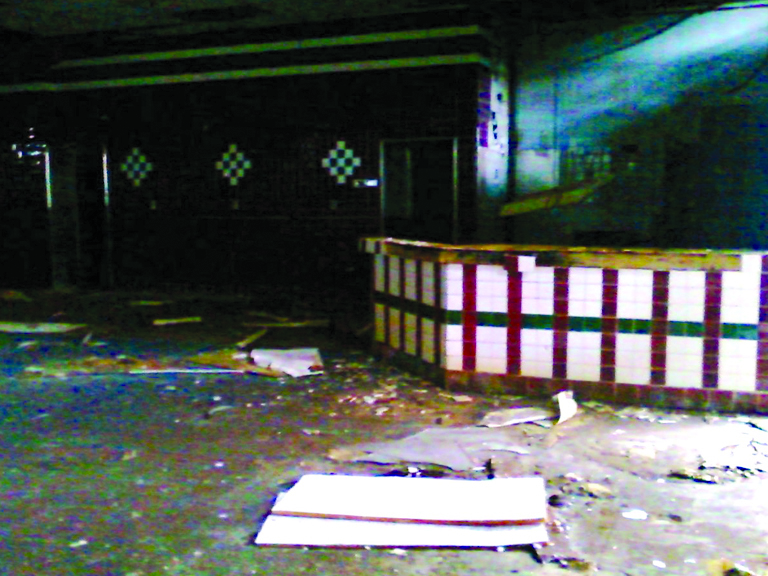 But Acme said the fate of the tiles would be decided by the new owners of the building since they provide structural support and cannot be easily removed. 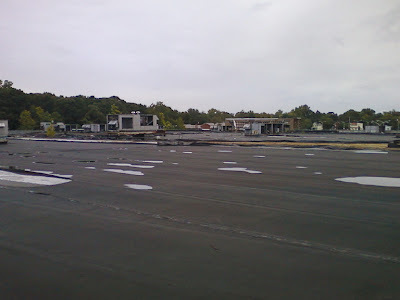 A produce market moved into the location but left the tiles in place covering them over with their own signage. 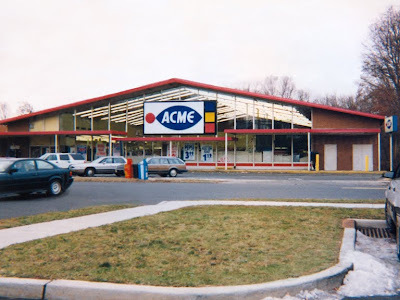 Our Acme fan then turned his sights on the store in Haddonfield as it was being converted to a CVS. 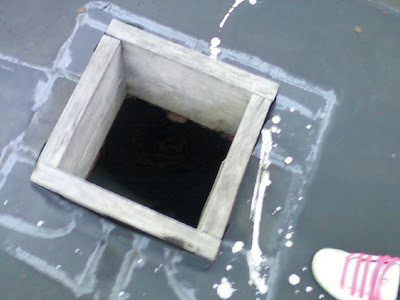 Unfortunately, he was too late and the tiles had already met their demise. 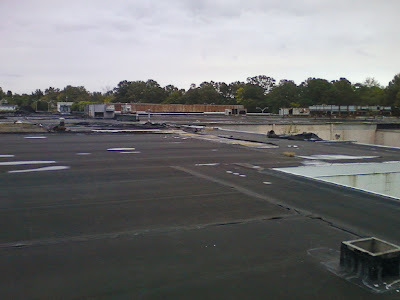 Years later the produce market at the former Plainfield store closed our Acme Style fan set out once again to obtain the tiles. 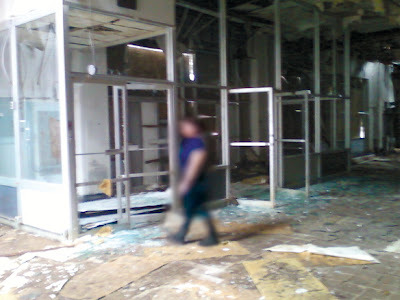 He was lucky enough to arrive just as the store was being converted to an Aldi and asked the demolition manager to save the tiles for him. He did and the tiles are forever saved from being destroyed! Now if I can only get my hands on a set... keeping my eye on that store in Clayton.